Groundwater samples were collected from 3818 wells used for the community groundwater system (CGS) in the remote rural areas of South Korea and analyzed to determine radon concentrations. Radon concentrations varied with rock type, ranging from 0.1 to 2393.5 Bq/L with an average of 86.6 Bq/L and a median of 46.4 Bq/L. Among 10 geological units, the median CGS radon concentration was highest (59.6–103.0 Bq/L) in granite, and lower in sedimentary rocks (16.9–21.1 Bq/L) and porous volcanic rocks (17.6 Bq/L), respectively. Of the 3818 samples, 26.1% exceeded the World Health Organization (WHO) radon level limit of 100 Bq/L. The application of the natural radon reduction rate (26.5%) recently suggested by Yun et al. 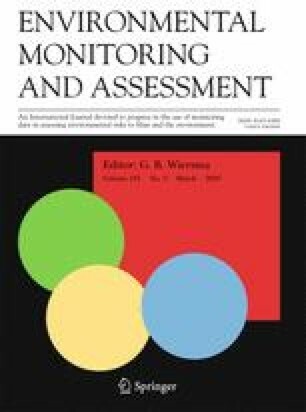 Applied Radiation and Isotopes, 126(1), 23–25 (2017) to the CGS water tank appeared to decrease exceedance of the WHO radon level limit to 20.2%. Because of the high radon concentrations in CGS groundwater in South Korea, the establishment of a radon level limit for drinking water is strongly recommended to ensure the health and safety of the people using CGS water. This work was supported by the National Institute of Environmental Research (NIER-SP2015-386) and the Korea Institute of Geosciences and Mineral Resources (Gp2015-014-2016(2)).